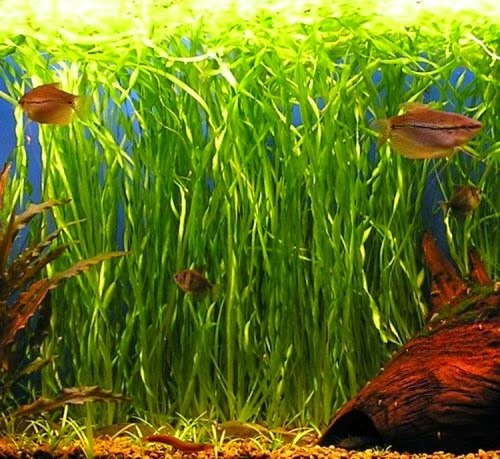 Contortion Vallisneria or Asiatica Vals are one of the most common background plants for aquariums. Many confuse these types of Vals with jungle vals who look somewhat similar, but the difference is contortion vals are slimmer and grow very tall. The rotating blades are able to grow within a wide array of aquarium parameters; it can definitely add its grace to one of your aquariums. Like other Vallisneria species, Contortion Val reproduces primarily by sending out runners.